The first period Art 1 class completed the same lesson as the classes yesterday. The students enjoyed discussing their ideas and perceptions about folk art with Melanie. 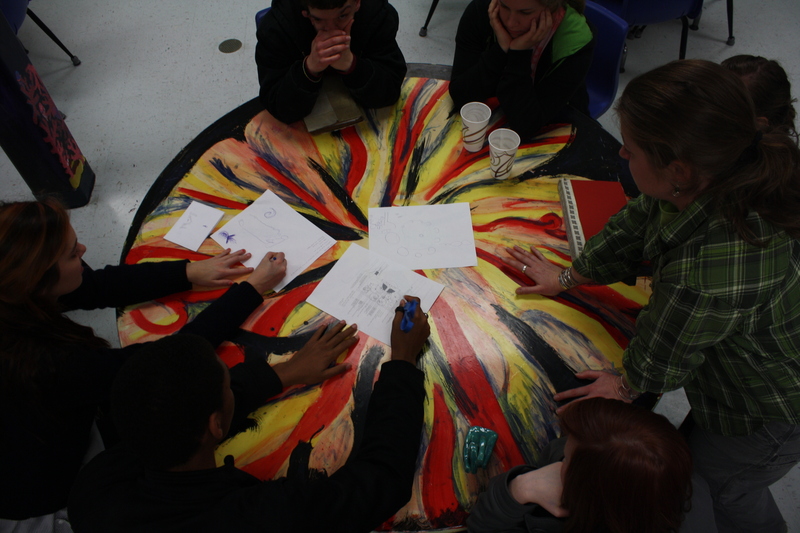 The Art 2 and Art 3 classes discussed their ideas for the sculpture for the front lawn. At first they talked about the ideas they wanted to convey with their sculpture. They mentioned a memorial, physically inviting, relating the sculpture to the growth of the trees, allowing the community to interact and creating a connection with the old and new trees. The students desire to remember the old trees while also pressing forward to the future. 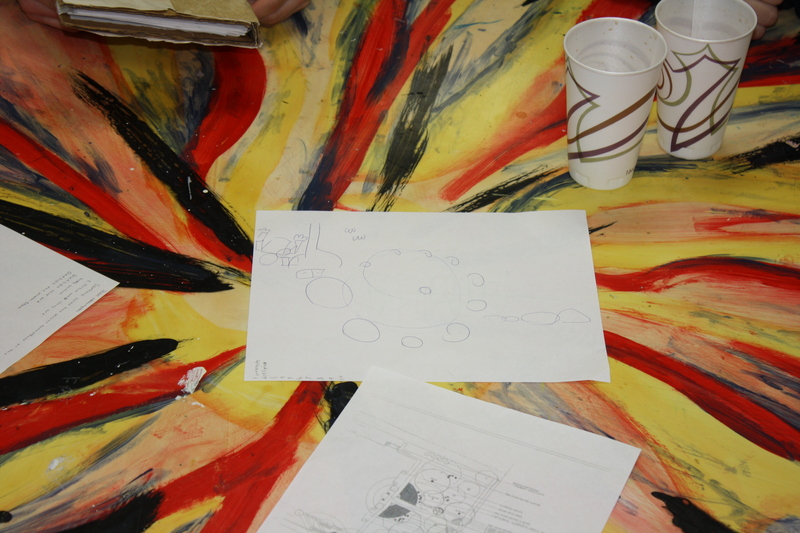 Then they divided into groups and shared their personal sketches with one another. They picked the strongest ideas and combined them into a tentative idea. 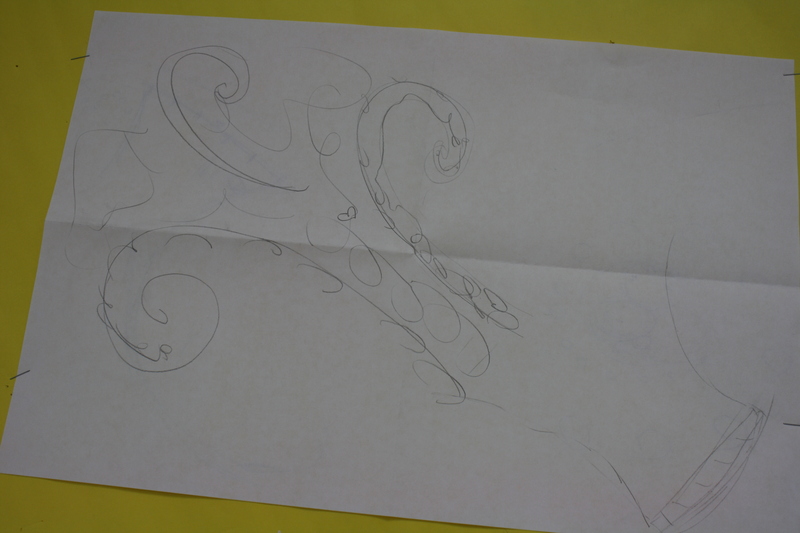 The most amazing thing was that between the two classes – they came up with VERY similar ideas. The students have considered building up, digging down and including native plants as a part of their creation. We are all excited to get out on the front lawn tomorrow with the sketches to see how it may look out on the lawn. Thank goodness it stopped raining and the temperature is going up! Students discussing their consolidated idea with Melanie.